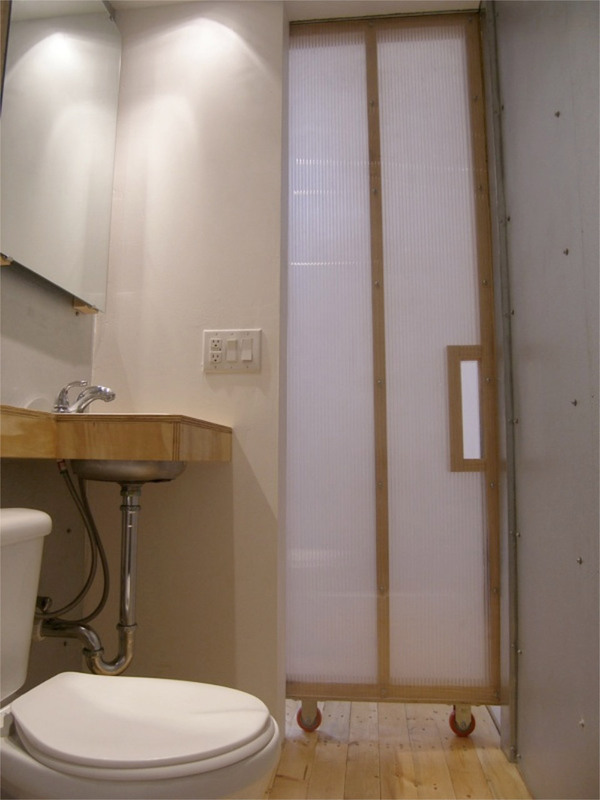 Loft House investigates cost/value ratios of a minimized footprint to wall surface. 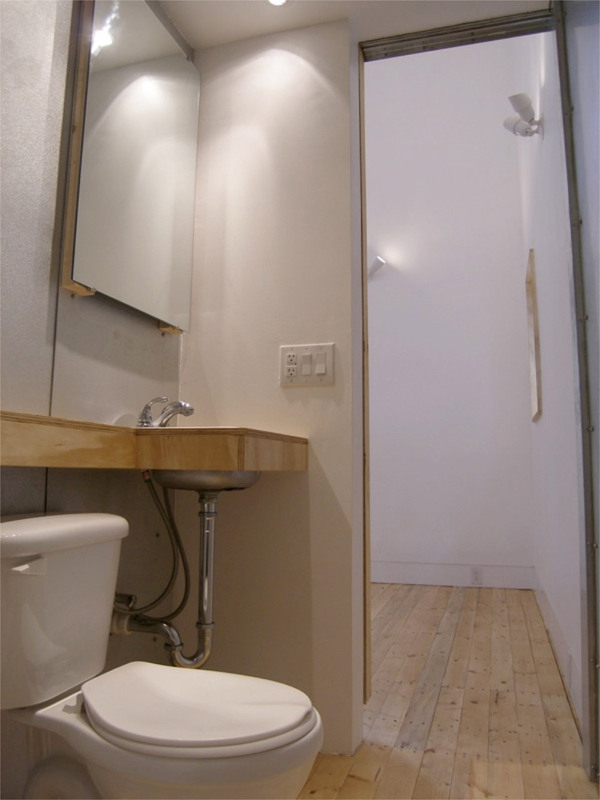 The small two-story house stows the sleeping space above the kitchen and bathroom allowing a double volume for the living space. Dramatic views are afforded from the height of the sleeping loft of the neighboring creek and landscape. 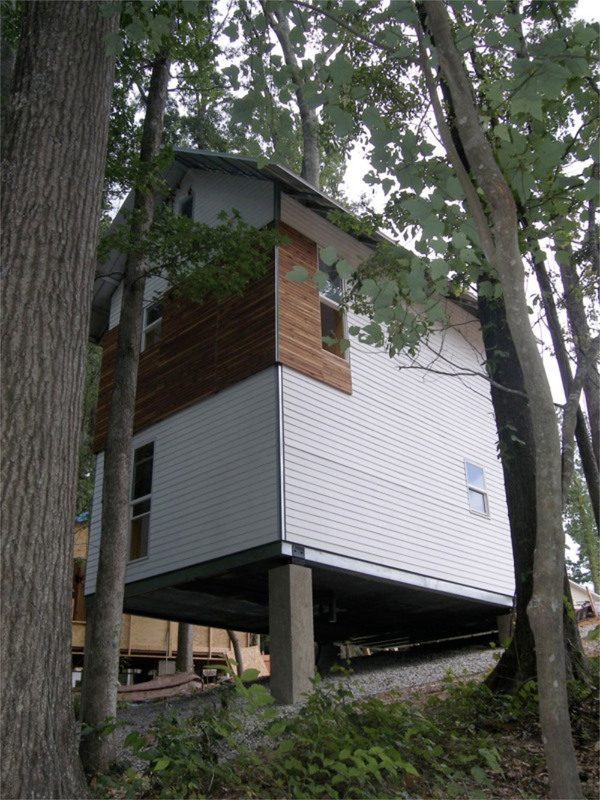 A small home built in Auburn, Alabama for $10,000 in materials and $10,000 for labor. 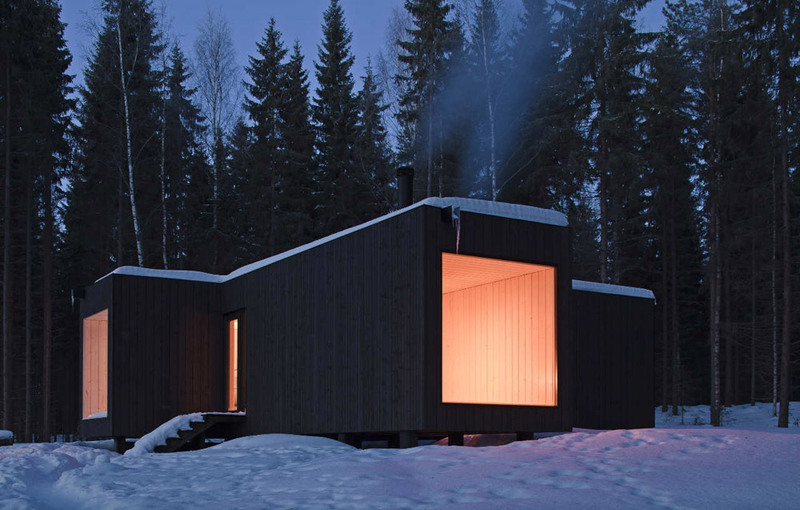 Built by Rural Studio. Interesting concept, but I was immediately turned off by that stairway – very dangerous. And not nearly enough windows. But with a few design tweaks, something like this could be quite nice and very viable. Yes, stairs scared me too. Going up them after a glass too many of red wine or kids running around too much. But I like the attitude of austerity that controls the design with rigour. Interesting to see the choice of cold rolled steel instead of timber. 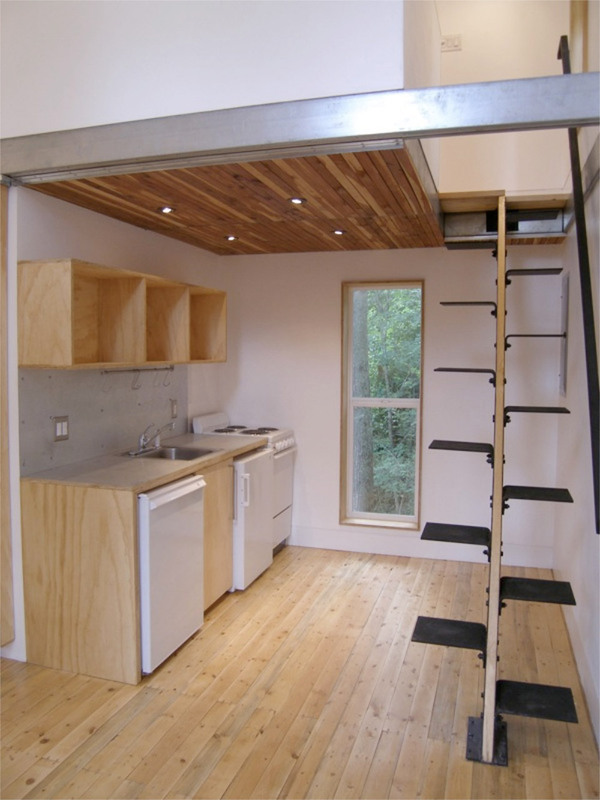 Love this concept, but it would be good to see more single-level floor plans for older small-house enthusiasts. Those stairs are a deal-breaker (hip-breaker?) for seniors. Looks ideal for a young single and practical to build in an established neighborhood because young singles probably can’t afford fancy modernist fare with million dollar views and deigner furnishings The raw wood look throughout and shadow box “cabinets” intrigue! It looks like a tobacco barn. What is up with the small wood “wrap”? 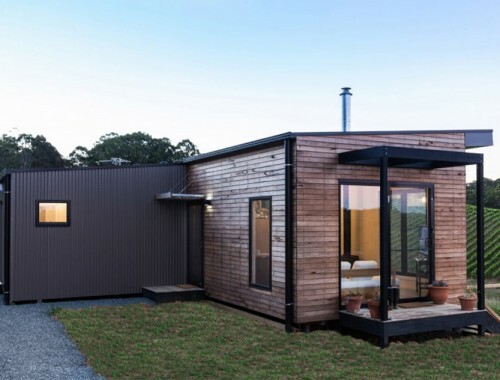 I love the idea of micro homes and I have seen a number of impressive homes. This one I am not sure about. The stairs are visually unappealing and look dangerous. The overall craftsmanship is not very attractive either. A few of the areas don’t seem to be leveled. Obviously it is not yet completed, but if someone like myself with absolutely no building experience can spot these things, concerns me. That being said since I have no understanding of building homes, this could be just normal “things”. Would like to see what it looks like finished. 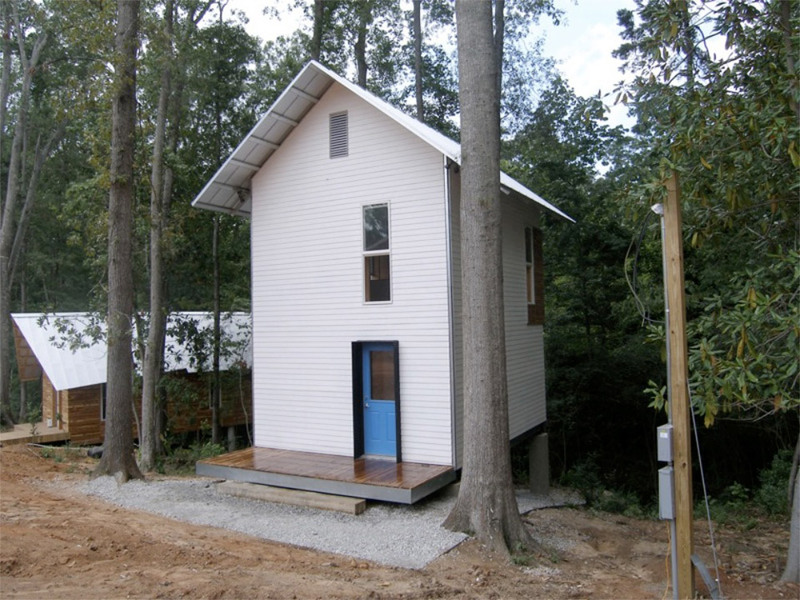 from their site: Rural Studio is an off-campus design-build program of Auburn University. The program, established in 1993 by D.K. Ruth and Samuel Mockbee, gives architecture students a more hands-on educational experience whilst assisting an underserved population in West Alabama’s Black Belt region. In its initial years, the Studio became known for establishing an ethos of recycling, reusing and remaking. 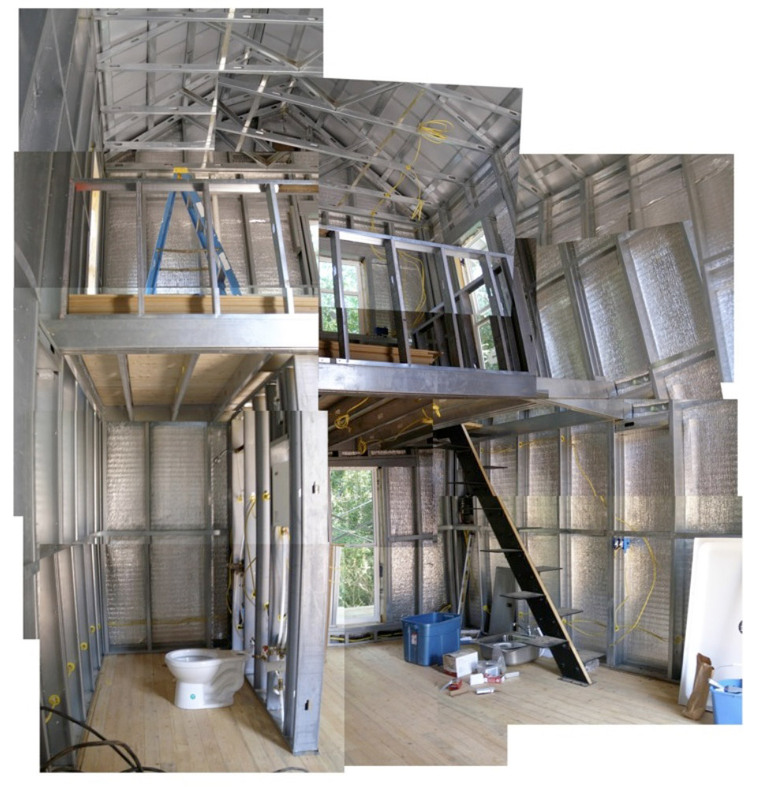 Personal tastes and opinions aside… isn’t it pretty amazing that this smaller home has been built with ” 10,000 in materials and 10,000 for labor ” ??? Just think of all the money our government must spend on shelters of various types for everything from homelessness, abuse victims, low-income etc. oftentimes paying slum lords and even motels or hotels exorbitant amounts of rent. Hopelessness and poverty does so much damage to the mind, body and spirit of a person as well as how they interact with greater society, not to mention the chain of events that challenge a nation such as cycles of crime, addictions and all the rest. 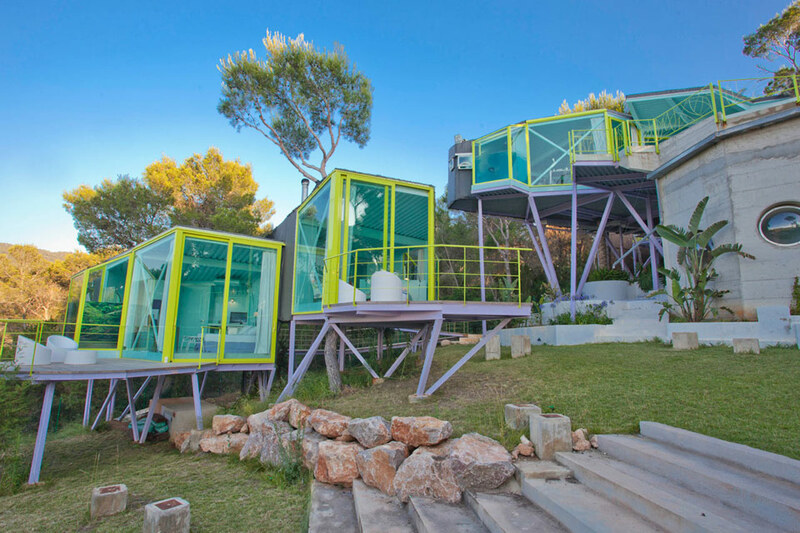 I think that alternative housing is long overdue and I commend all who contribute to viable solutions such as this house and the many helpful ideas, solutions and replies shown!!! here. It’s as uplifting as a ” Barn Raising ” !!! Both comments are our opinions. I grew up in Alabama and was personally affected by the attitudes that go with this “decorative taste”. My story: I started grammar school in 1971. On the very first day of class, I (as other black students) was greeted by the KKK waiving this piece of “decoration” spewing vile hatred. Now 50, my life from that point has been nurturing that frightened child. I don’t have the luxury of remembering my first day of school any other way. So no, the confederate flag is not a solely a decorative choice. I have donated a sizeable to the Rural Studio since learning about this program. It would be nice to have those who receive the help, not be insensitive to others. This is such a beautiful ltlite loft! What a great starter place! I love the exposed brick look- very chic. Annnnnddd only a short hour plane ride away from jersey and for the first time ever we will be only a days drive away. Yay for Bostonians! 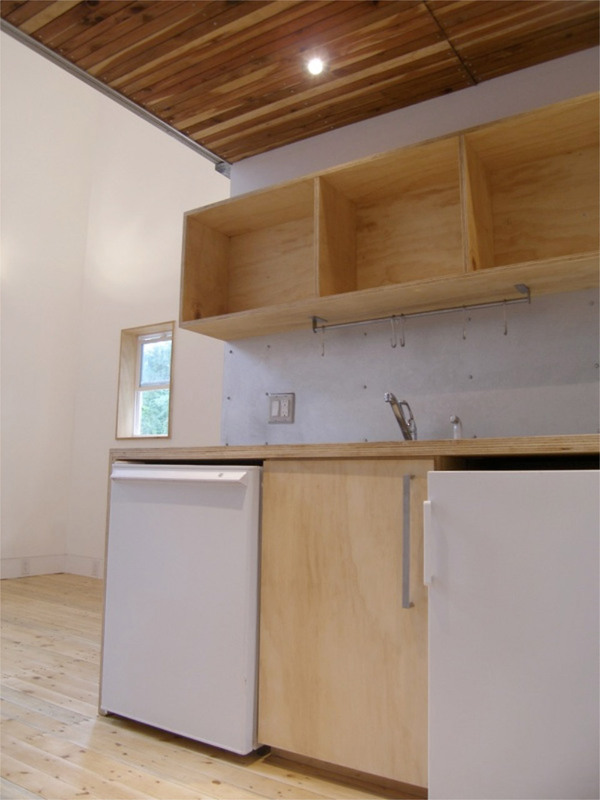 The structure seems to struggle with maintaining a unified theme…beautiful wood floors…then very cheap looking plywood cupboards…. The interior design doesn’t seem to make sense…it looks like there was ample room for a proper stairway but used a steeplejack stairway instead..poor choice to make when not required by space limitations. Really tiny windows which will make the interior dark making it seem smaller, and wont afford a view into nature or bring nature into the living space. I understand it was cheap to build but it is still filled with many poor choices.